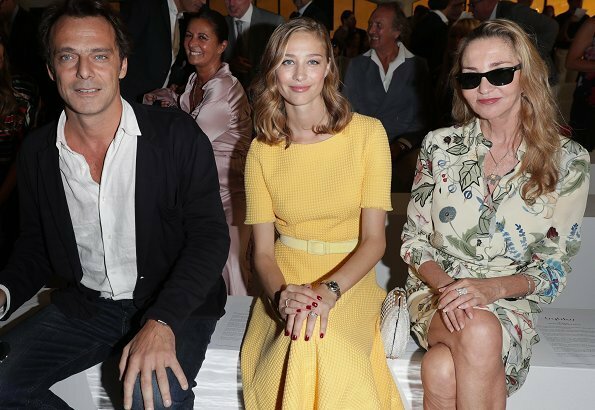 Beatrice Borromeo Casiraghi and her mother Paola Marzotto attended Byblos Women Spring Summer 2019 fashion show held as part of Milan Fashion Week (MFW). Always gorgeous and classy! Less is more! Beatrice is a natural beauty. Le monde a l'envers.....La robe de Beatrice est trop longue, et celle de sa mere, trop courte. Mother and daughter reversed dress lengths, Mom too short, Beatrice too long. What a beauty ! Beatrice is a very beautiful and classy lady . She inherited her mother beauty. 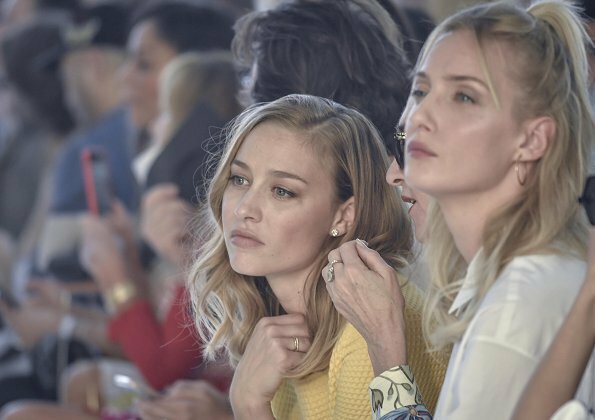 Also the young lady sitting next to her is very beautiful. Love the outfit. I even like the fact she is not wearing the outrageously high stilettos. As women get older, they will have significant problems with their feet and will be sorry for wearing them. Beatrice looks great in that dress,but do not care for the shoes. Her mother looks lovely too. She looks very pretty in yellow. Estoy de acuerdo con"chistine. .. " en todo, especialmente con el problema de los stiletos no sólo problema de pies sino de columna!! The shoes say it all;not much thought gone into what appears to be a nice dress. My friends and I fell over laughing. 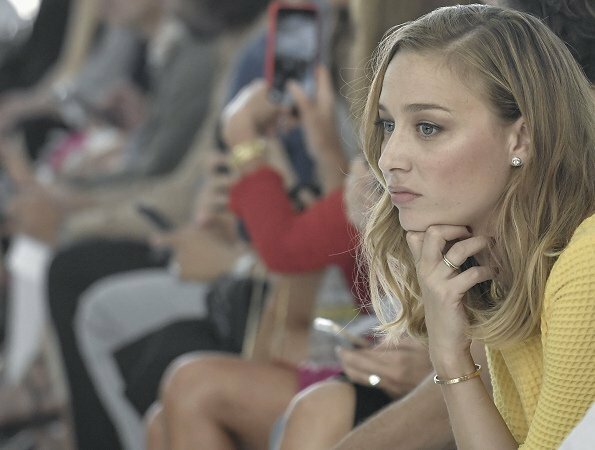 Beatrice Borromeo is the most beautiful and stylish Royal. Always staying true to her effortlessly chic she is a real style icon. Nothing wrong with the sneakers. She attended a fashion show and it's the way to wear sneakers with a dress and she looked just amazing.